Color Trends for 2015 are influenced by the need to unplug, unwind, and get away from life’s stresses. Colors are cooler and softer; taking cues from Nature. These colors evoke feelings of creativity and magic, yet remain grounded by memories of simpler times. In 2014, we projected that people would begin to question the state of fear that our government and the media has imposed upon us through propaganda. The American public began noticing that fear stifles productivity, creativity, and happiness. By the end of 2014, we noticed that the mood of the nation was beginning to improve. It was becoming obvious that the American people wanted to break free from the bonds of “fear” that has held them back for over a century. We project that this mood will continue to improve in 2015. Just like the metamorphosis of a caterpillar into a butterfly, we believe that Americans will begin to grow the wings they need in order to fly towards freedom. This sense of freedom will result in an awakening of creative thinking, innovation, and appreciation of the arts. You will see butterflies, flamingos, bees, and other birds in home décor, fashion, and in product packaging. Floral prints are here to stay. Fragrance notes that will be hot due to this trend are more traditional flowers such as lilac, jasmine, wild flowers, tulip, lily, and peony. Scentscaping is the art of creating mood through fragrance, and altering that specific mood in the various rooms of your home. 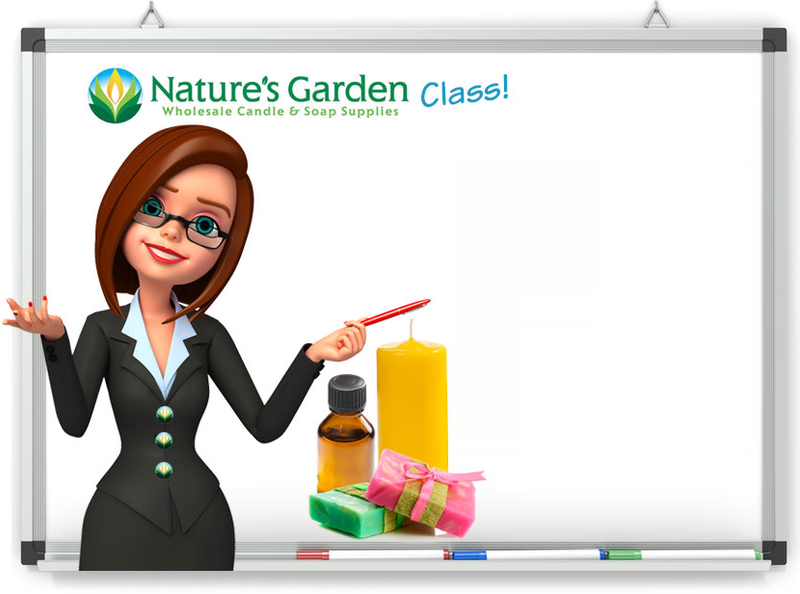 Perhaps you want your bedroom to smell “romantic”, your living room to smell “cozy”, your bathroom to smell “refreshing”; Natures Garden has over 800 fragrances and essential oils to help you develop the art of scentscaping in your home. By the end of 2014, we saw the price of oil drop, and with new emerging alternative energy on the horizon, we project that oil prices will remain low in 2015. This should result in lower travel and shipping costs; although it has been reported that companies like the Post Office and UPS plan to raise their rates. Maybe lower oil prices will change their minds and they will decide to give their customers a break instead? Only time will tell. One thing is for certain: Lower energy costs have a direct impact on the economy of a country. When energy costs are driven down, people have more money to spend, and the economy flourishes. The Northeast portion of the United States is very rich in natural gas. There are plans to sell this natural gas in liquid form. If this becomes a norm, the “demand” for oil will further decrease. When demand drops, prices tend to drop. Natural gas companies have been busy suing home owners in the gas-rich Northeast to be granted imminent domain rights over their land for gas storage and production. The multi-billion dollar natural gas industry will allow this country to become less dependent on foreign oil; let’s hope they remember the home owners during their venture. Due to the hustles and bustles of life, and the decrease in the price of oil, we project that Americans will take more vacations in 2015. Beach destinations will be the vacation of choice. We expect this trend to get stronger as we approach the 2016 Olympics (which will be held in Rio). This trend will also spill over into home décor, fashion, color, and fragrance. You will see tropical greenery such as palm leaves and hibiscus flowers incorporated into home décor. We also see the use of flamingos used in décor and fashion. Aqua marine water color will be used to promote the sense of serenity. Fragrance notes that will be hot in 2015 are tropical fruits, tropical flowers, and tropical rainforests. When young people were asked, “Who are your heroes?”, many of them responded, “My grandparents”. It appears that young people today are spending more time with their grandparents (the baby boomers). The baby boomers, many of which are retired, are living longer, and have more time to spend with their grandchildren. Baby boomers have experience and knowledge that can help make this new generation productive, successful, and happy. With the emergence of politically correct speech, baby boomers are a breath-of-fresh-air with their direct and blunt opinions and thoughts. Young people are drawn to this because it is so uncommon in today’s world. Baby boomers believe that you do not“deserve”anything; you must “earn” it. The younger generation cannot escape this common opinion of the baby boomers, and since they consider their grandparents their “heroes”, the younger generation just might choose to adopt this belief system themselves. Baby boomers also appreciate the arts and creativity; many still own vinyl records. With many schools cutting the arts, the younger generation is thirsty to become more cultured, and are being introduced to music & art by their grandparents. Likewise, many baby boomers now have time to allow their creativity to come alive. Baby boomers know who they are, and this confidence is embraced by the younger generation. We predict the consumption of wine to increase in 2015, with beer sales falling. Many TV shows like “The Good Wife”, & “Scandal” show powerful people drinking wine on a regular basis. This will influence the fragrance market as well; fragrances like merlot, cabernet sauvignon, shiraz, and wine spritzers. Southwest style uses grounding earth tones and rustic textiles to create a mood that is primitive & natural. Suede and denim will carry over into fashion. Decorating with cacti will become popular. The fragrance market will be influenced by this southwest trend by infusing the following fragrance notes: suede, cactus, desert sand, and animalistic musk.